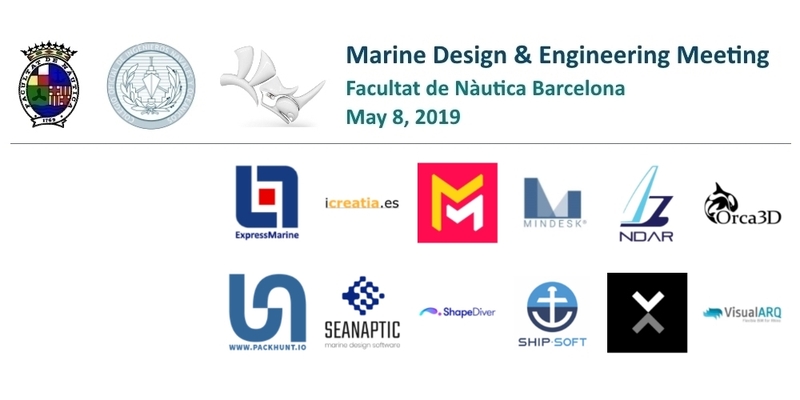 Oceánicos, organizes a Rhino “Marine Design & Engineering” Meeting in Barcelona on May 8, 2019.
share their more recent projects and workflows with the audience. Visualization, Product Configurators, and much more! Inside, Rhino Compute, RhinoVR, Sub-D, YAK, Grasshopper and food4Rhino. Virtual and Augmented Reality, Class A, food4Rhino. Steve Baer. Senior Developer at Robert McNeel & Associates. Steve has been working at Robert McNeel & Associates for a long time. His focus is to do whatever he can to make users of Rhino and Grasshopper more productive and successful. This includes writing the technologies RhinoCommon, rhino3dm, Rhino.Inside, compute.rhino, and Rhino.python; as well as core display, plugin management, printing, clipping plane, text field and layout features of Rhino. He also focuses on finding new ways to improve development processes and communications with users. 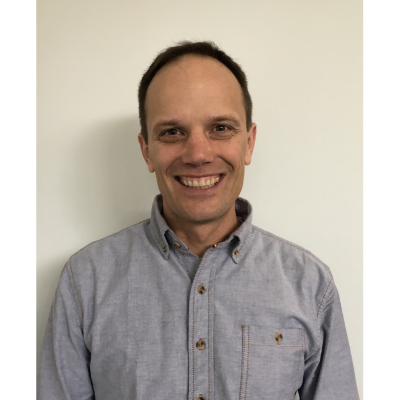 Steve worked as a Naval Architect and Marine Engineer in Seattle for 10 years prior to joining Robert McNeel & Associates designing and modifying ferries, fishing vessels, barges and tug boats serving the Pacific Northwest. 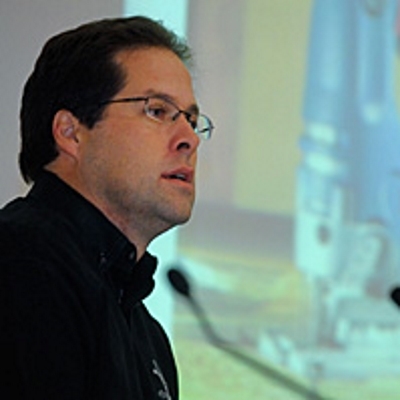 He holds a computer science degree from University of Washington as well as Naval Architecture and Marine Engineering degrees from the Webb Institute. 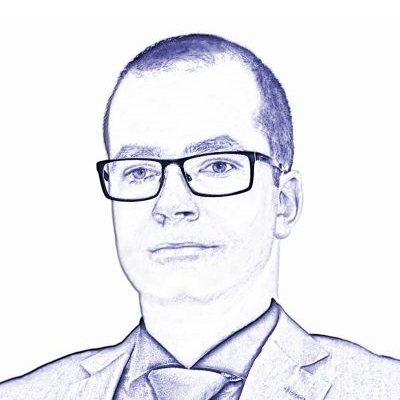 Researcher/Software Developer for Geometry and CFD. Ship model production and CFD in Rhino – an overview of Rhino developments at MARIN. Naval Architect and Product Manager of Seanaptic Working previously for Rolls-Royce Marine as a Naval Architect, both as a Structural Designer and as a Hydrodynamics and Stability Engineer MSc in Aeronautics at Imperial College London, UK BSc in Naval Architecture and Yacht Design in Romania and Italy. 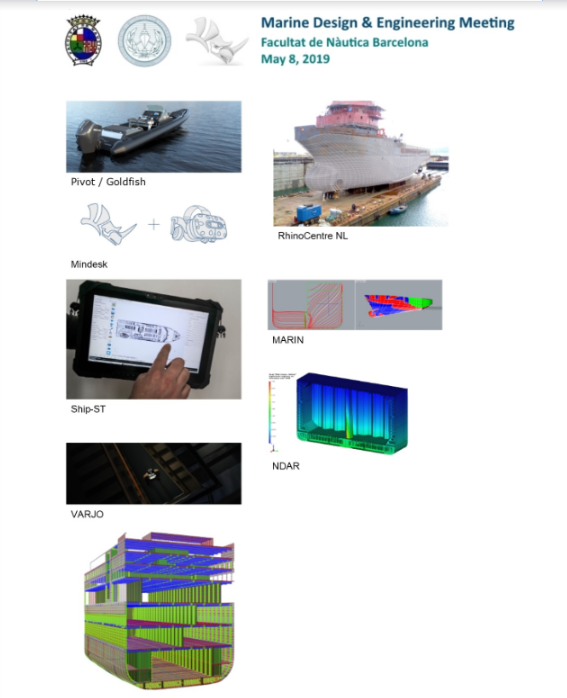 Seanaptic – Parametric Marine Design Plugin for Rhino *Parametric Structural Design *Weight Tracking of all components on board *Connected design principle *Exports to other systems *Results. 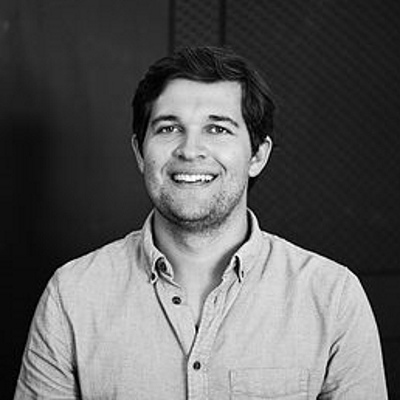 Liam is the managing director at Pivot Produktdesign and contracted design engineer at Goldfish Boat. His core skills include surface modelling, visualisation, design for production, design for sustainability, teaching, prototyping and documentation. 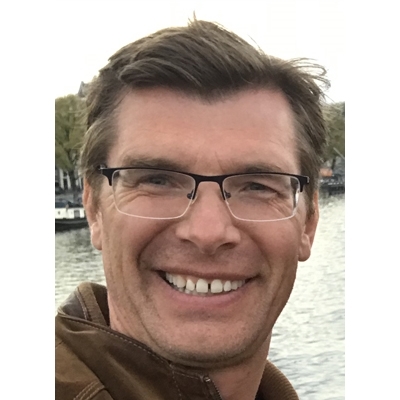 As a naval architect and ship designer, Gerard Petersen founded RhinoCentre NL in 2003 after he designed an innovative open motorboat with Rhino in 2001. At RhinoCentre he focus on transfering his knowledge and expertise to his clients with training and services. RhinoCentre is world wide leading in the application of Rhino in the marine industry. One of its key products is the online training “Hull Design and Fairing”. 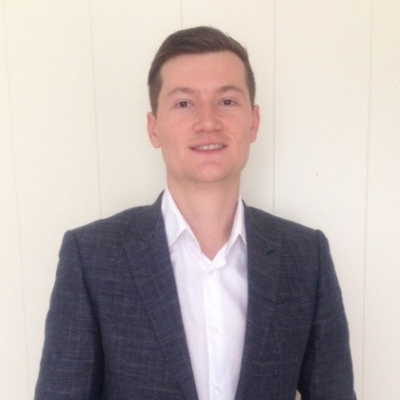 Stéphane Dardel, MSc Naval Architecture and Marine Engineering Science from the University of Southampton (UK), has considerable experience in all fields of the Marine and Yacht industries. 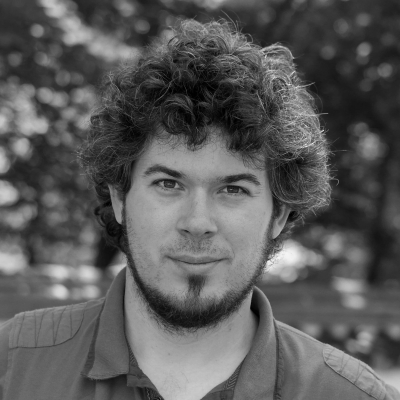 In addition, during his several years at Design Systems & Technologies, Stéphane was an early user and key in the development of several specialized software programs, which NDAR continues to offer. Stéphane’s diversified experience includes project management at world-famous Espen Øino Naval Architects and a key role in the genesis of several acclaimed motoryachts while working with Philippe Briand Naval Architects. 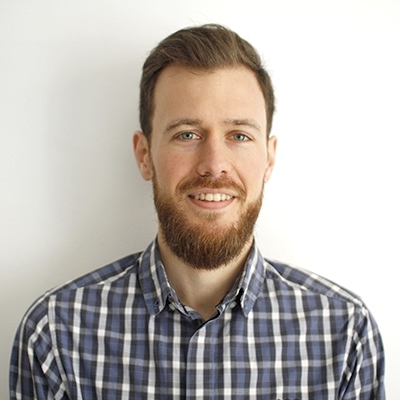 CAD specialist with a background from various industries, Matthieu Arnold joined Ship-ST’s in 2013, and he’s now in charge of our software development. Conduct the survey of a vessel with a digital tablet and get an instant report of lightweight status. Design all the structure in 3D. Enhance your productivity with our marine toolbox. Automated bill of masses & inertias, automated naming, traces generator and much more. 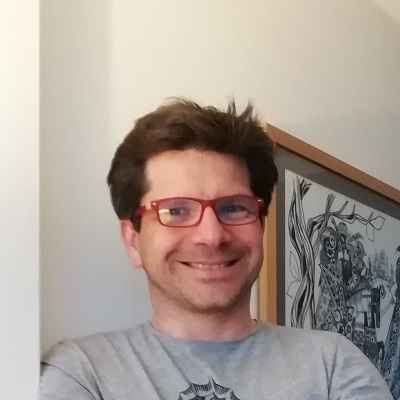 Ramón Cárceles is graduated in architecture from the Universitat de Girona and master in multimedia applications from the Universitat Oberta de Catalunya. 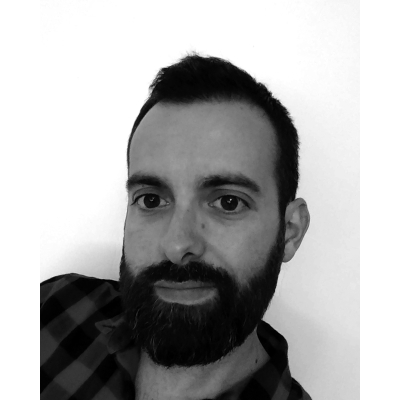 Ramón joined Asuni in 2018 and is Product Manager of VisualARQ. VisualARQ is a flexible BIM solution for Rhino that allows professionals from AEC to develop architectural and engineering projects, create 2D documentation drawings and exchange information through IFC with other applications. Company founded in 2013, main activities: Project Management, Consulting, Design and Engineering. Dariusz Sawicki, owner of ProMETSo, M.Sc. of Engineer, 20 years of experience in Maritime Industry, 15 years as entrepreneur. Engineer in industrial design and product development with 12 years of work experience as industrial designer and Rhino 3D modeler. I have made design projects for several industries: naval, automotive, furniture and consumer products with international companies, shipyards and design studios. As designer and 3D modeler in the shipbuilding industry I have worked with Rodman polyships, Astilleros Armón, CT Dinain, Ghenova Ingeniería, Navantia… I also teach specialized training in Rhino 3D modeling for over 5 years. 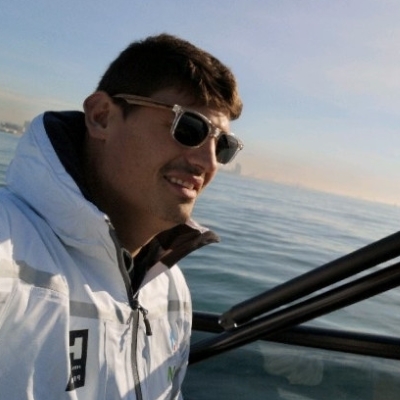 Technical and Production Director of De Antonio Yachts. Business Development at Robert McNeel & Associates. 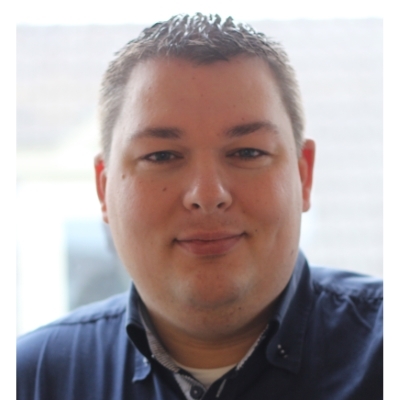 Jeroen Coenders is CEO and founder of White Lioness technologies, a company that develops Packhunt.io (http://www.packhunt.io), a next generation parametric design platform on the cloud. This platform is used in many different industries to facilitate design and production processes through parametric modelling in Grasshopper. This technology is developed from the ground up to facilitate our ambition of making advanced technology a commodity. 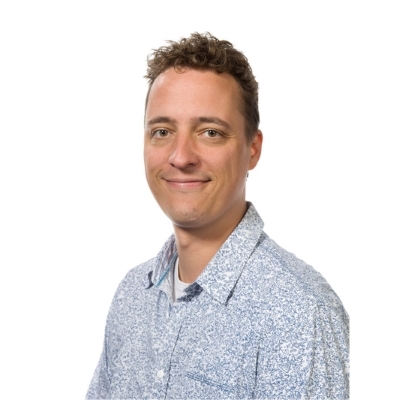 Through his previous involvement at Arup, Delft University of Technology and SmartGeometry Jeroen can be seen as one of the pioneers in modern parametric design technology with over 15 years of experience. The Nautical School of Barcelona is a nautical training center with a tradition that goes back to 1769, with a long history behind it, which has been able to combine tradition with modernity, adapting to the requirements of the professional and social world. 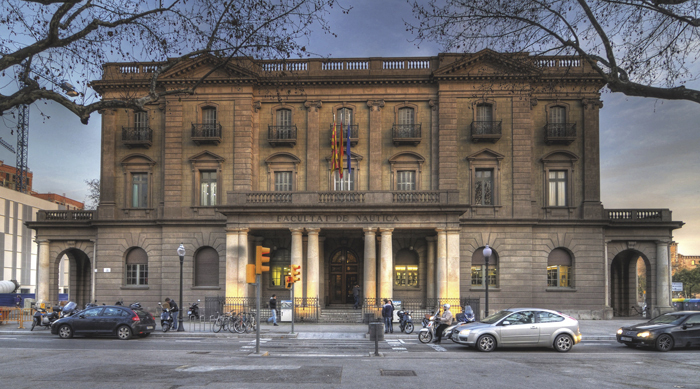 For more than two hundred forty years it has been hosting new students in its classrooms and since 1932 it has his headquarters in the majestic building of Pla de Palau, located in a strategic position, by the sea and next to the Port of Barcelona, ​​favoring the presence of a large number of students from different places. Icreatia.es es la primera tienda especializada en tecnología para el CAD y diseño en España. Desde nuestra web podrá acceder a las últimas novedades en software, hardware, libros, cursos y servicios, encontrando información detallada, versiones demo, videos, tutoriales, comparativas, artículos, etc. Le ofrecemos los mejores productos seleccionados por su calidad y buen precio, cubriendo las necesidades del diseño en Arquitectura, Diseño Industrial, Diseño Gráfico, Formación, Hardware. Mindesk is the first and most advanced Virtual Reality interface for Rhino 6 and Grasshopper.Navigate, edit and build your 3D CAD models immersed in the VR without exporting your Rhino project. All you need to do is load Mindesk and you are ready to go. Bring your current Rhino workflow in VR including 3D navigation, multi-scale view, geometric editing, NURBS editing, surface modeling, curve modeling and much more. Mindesk works withHTC Vive™, Oculus Rift™, and Windows Mixed Reality™ devices. It is recommended that your PC is VR/AR ready. Leader consultant in the French shipbuilding world, SHIP-ST is a 20 years old company with a deep experience in mid-sized ships design. Ship-Soft is Ship-ST’s brand for Rhino Plug-ins edition, targeting the maritime industry : RhinoPiping, Lightship Survey and Marine Structure Workshop. Software, made by marine designers for marine designers. ExpressMarine is a plug-in for Rhino that enables designers to rapidly build-up parametric 3D models of marine structures. Its main advantage is the dramatic reduction of the modeling time, achieved through the integration of the 2D drawings and the 3D model in a single, common environment. Weight and center of gravity results become available much earlier in the design tender phase and the model topology allows easy updates throughout all later design stages. It is the ideal pre-processor of the structural model to be further used in other marine design software for detailed engineering, class drawings, weight distribution and tracking, FEM analysis, etc. NDAR – Naval Architects since 1987, specialize in design & production process management. NDAR supply engineering services (training/support/engineering/business consulting), and specialized software for design & production of yachts, workboats, commercial/Navy ships, offshore, etc. : Rhino3D and marine plug-ins Orca3D & ExpressMarine, ShipWeight, GHS, MAESTRO, NavCad, ShipConstructor & EnterprisePlatform, AutoFEM. Varjo VR-1 is the world’s only Human-Eye Resolution VR Headset designed for professional use. Orca3D streamlines your design process with intuitive marine design tools that run within the Rhino 3D environment. Conceptualize, model, and analyze, all without transferring files or learning a new program. Create and fair your hull, deck, and superstructure surfaces, analyze hydrostatics and stability, predict speed vs. horsepower, track the weight, center of gravity, and cost of your design, and perform fast, accurate CFD analyses all within the comfort of the Rhino environment. By itself, Rhino is an extremely powerful design tool; when you add Orca3D’s marine-specific tools, it becomes the most versatile and cost-effective marine design program available. SEANAPTIC LTD UK provides advanced modelling and estimation software for the marine industry, combining advanced mathematics and engineering with state of the art programming to offer the next generation design tools for maximum efficiency. Seanaptic for Rhino is our solution for fast 3D modelling of parametric marine structures and 3D Weight Management of all components on board designed to replace spreadsheets and table format weight tracking tools. VisualARQ is a Flexible BIM solution powered by McNeel’s Rhinoceros 3D. VisualARQ adds architectural features to Rhino to work with powerful associative architectural objects, dynamic documentation tools and collaborate with other tools through the IFC import /export capabilities. VisualARQ integrates intuitively in the Rhino & Grasshopper design workflow with the shortest learning curve, thus generating any kind of free-form architecture. Packhunt.io is a revolutionary platform to build and use parametric Digital Twins of products and projects based on Grasshopper models without programming. The products can be accessed through a web browser and are truly scalable so that traffic from the web can be handled: perfect to share your design on the web. Packhunt.io offers advanced capabilities such as complex design and sales customer journeys, simulation and analysis software integration, manufacturing integration, back-end processing, virtual reality, machine learning, photorealistic rendering, etc. Packhunt.io is used across industries: retail, jewellery, architecture, engineering, construction, 3D printing, digital services.